The Standard IRIS Vehicle is built on a full size one-ton Ford or GM van and can support up to four antennas. In addition to factory installed equipment the Standard IRIS Vehicle is outfitted with a 72 inch (183cm) roof extension and additional auxiliary air conditioning and heating. The interior walls and ceiling are covered with a ”Formica” style high pressure laminate plastic (HPL) for laboratory functionality and appearance. A vinyl floor, three captains chairs and dual high intensity strobe safety lights are also included. A fully functional operator’s control console is provided and also includes an HPL covered desk and storage cabinets. The VIS-2 and 2500Watt AC Inverter Power Subsystem (PS-24-ACP2500) are standard equipment with this vehicle. With the optional Remote Monitor and Key-board (PS-24-RMK), the IRIS vehicle and GPR equipment can be operated by one person. Also available as an option on the standard IRIS vehicle is a multi-camera high resolution video system and/or Infrared Thermographic camera for pavement surface inspection. The Basic IRIS Vehicle is a low cost GPR vehicle that is fully equipped for high speed pavement and bridge deck inspection. 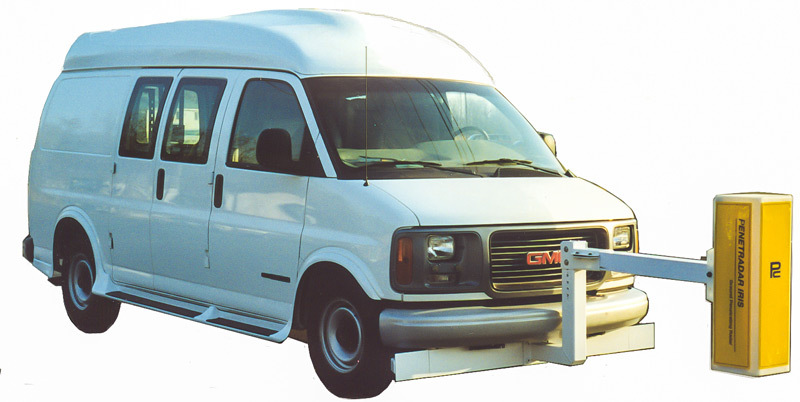 This system uses a full size Ford/GM Van and up to four antennas can be installed. The system maintains all the standard IRIS vehicle functionality but to reduce cost, many of the extra features found in the other IRIS vehicles have been eliminated. The Basic IRIS vehicle includes the installation of the IRIS system of choice, and all interior furnishings, such as fabric covered interior walls and ceilings, vinyl tile floor and standard seats. The VIS-2 and 1500 Watt AC Power Subsystem PS-24-ACP1500 are included with this vehicle. The IRIS-Hyrail includes a portable IRIS installed on an hyrail vehicle. 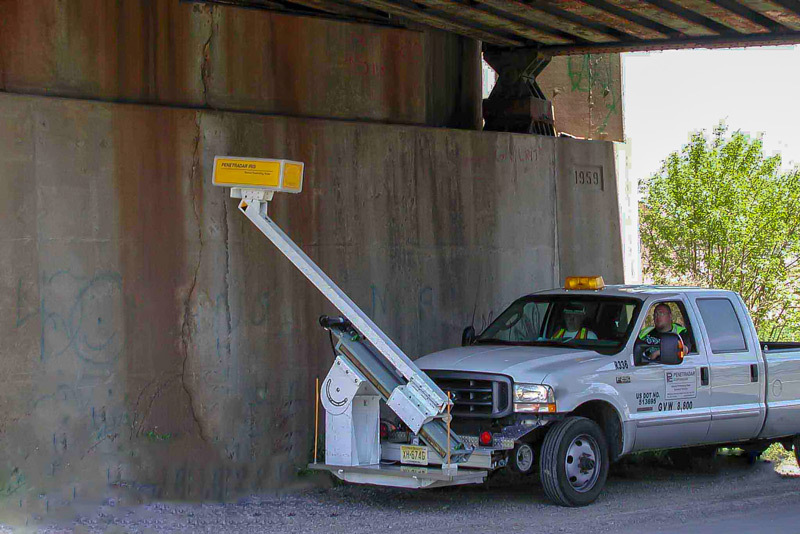 This IRIS vehicle is used for rapid GPR inspection of rail and roadway tunnel walls, liners, abutments and concrete fascia. The IRIS Hyrail vehicle is installed with a portable IRIS, power supply, DMI (GPS) and a special electromechanical antenna positioning device. 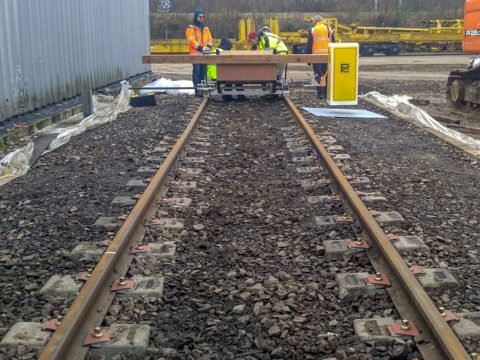 The GPR antenna is suspended at the end of an antenna positioning device which can be rotated to cover the sides and top of tunnel walls and the motorized boom can be retracted to avoid obstructions. The electromechanical antenna positioning device and controls can also be purchased separately. The IRIS Utility Vehicle includes a portable IRIS installed on an all terrain 4WD utility vehicle. This IRIS vehicle is particularly useful for utility and buried waste site surveys, project level inspections of bridges and pavements and in remote locations where manual GPR inspections are difficult or impractical. The IRIS Utility Vehicle includes a self contained power supply, DMI and can be outfitted with both non-contacting horn and ground-contacting antennas. 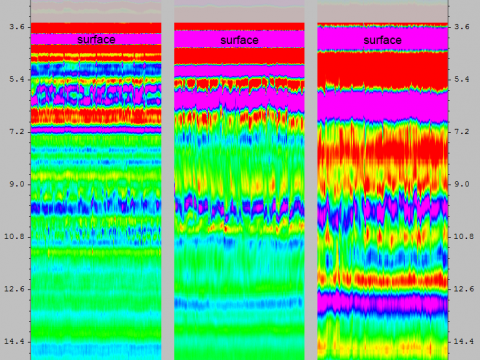 Specially configured GPR vehicles are available and include the IRIS-Minibus, installed with four radars for high speed, one-pass inspection of bridges and pavements. The IRIS-Minibus is similar to the Standard IRIS Vehicle but built on a larger Ford minibus chassis and includes front and rear control areas and seating for multiple passengers. 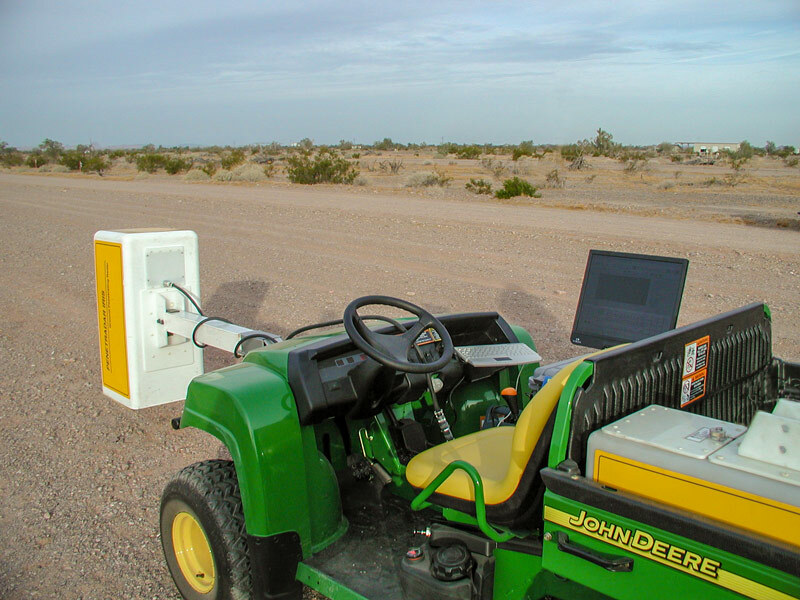 This IRIS vehicle is ideally suited as a long range, high speed GPR test vehicle, mobile GPR laboratory, GPR classroom or demonstration platform.